War games and TV shows conditioned the public to accept the official story and provided cover for the perpetrators of the 9/11 Attacks. 911 Octopus Part Three explores the media complicity that allowed the perpetrators to get away with treason and murder. It demonstrates the efforts the perpetrators took to cover their tracks, and shows how the media served as accomplices to the worst terrorist act in American history. It also shows proof that the FBI and goverment prosecutors knowingly submitted fake evidence in a court of law in order to convict a mentally-deranged patsy for his alleged role in the attacks. Shanksville, Amalgam Virgo, Lone Gunman, Fox, Media, covert operations. See the obvious mistakes which the mainstream media conventiently ignore. Most see the European Union of today as an inefficient conglomeration of states run by self-serving career politicians anxious to guarantee their survival by safely nesting in the EU's cocoon of endless bureaucracies. Many don't really see a threat at the moment. They believe that an integrated Europe makes sense; that it would prevent any chance of a third European war; that it is the modern, forward-thinking way to go. NOTHING COULD BE FURTHER FROM THE TRUTH The European Economic Community (EEC) began as a free-trade agreement in 1972. Today's European Union is well on its way to becoming a federal superstate, complete with one currency, one legal system, one military, one police force - even its own national anthem. In this shocking new documentary featuring EU insiders and commentators, independent author Phillip Day covers the history and goals of the European Union, as well as the disturbing, irrevocable implications this new government has for every citizen. Whether the viewer is for or against participation, this film asks the troubling questions the mainstream media has refused to confront. Former Soviet Dissident Warns For EU Dictatorship: http://www.brusselsjournal.com/node/865 Most see the European Union of today as an inefficient conglomeration of states run by self-serving career politicians anxious to guarantee their survival by safely nesting in the EU's cocoon of endless bureaucracies. Many don't really see a threat at the moment. They believe that an integrated Europe makes sense; that it would prevent any chance of a third European war; that it is the modern, forward-thinking way to go. NOTHING COULD BE FURTHER FROM THE TRUTH The European Economic Community (EEC) began as a free-trade agreement in 1972. Today's European Union is well on its way to becoming a federal superstate, complete with one currency, one legal system, one military, one police force - even its own national anthem. In this shocking new documentary featuring EU insiders and commentators, independent author Phillip Day covers the history and goals of the European Union, as well as the disturbing, irrevocable implications this new government has for every citizen. Whether the viewer is for or again...all » Most see the European Union of today as an inefficient conglomeration of states run by self-serving career politicians anxious to guarantee their survival by safely nesting in the EU's cocoon of endless bureaucracies. Many don't really see a threat at the moment. They believe that an integrated Europe makes sense; that it would prevent any chance of a third European war; that it is the modern, forward-thinking way to go. NOTHING COULD BE FURTHER FROM THE TRUTH The European Economic Community (EEC) began as a free-trade agreement in 1972. Today's European Union is well on its way to becoming a federal superstate, complete with one currency, one legal system, one military, one police force - even its own national anthem. In this shocking new documentary featuring EU insiders and commentators, independent author Phillip Day covers the history and goals of the European Union, as well as the disturbing, irrevocable implications this new government has for every citizen. Whether the viewer is for or against participation, this film asks the troubling questions the mainstream media has refused to confront. In the early eighties Michael Badnarik started his career as a computer programmer at an Illinois nuclear power plant. For the past twenty years he has continued this professional course, but during this time he became interested and frustrated with politics. As a result, in 1983 Badnarik began studying the IRS and then the constitution. 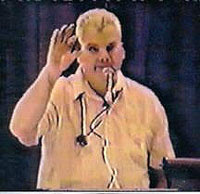 He had since condensed his 18 years of research into a short eight hour course that he would teach in a lecture format. It included some of the fundamentals on our rights and the foundations of our republic. Michael Badnarik teaches a class on the Constitution. Follow his message of freedom, this is a MUST WATCH!!! Most of what you think you know about the United States is wrong. Think you own your Car? Think its your money? Why do we have to register your car and get plates? Think you own Your property? He explains the differences between rights and privileges. Although there is a lot of controversy surrounding who exactly the founding fathers of the United States were working for, and the reasons why a federal government was created after the revolutionary war on the land commonly known as the United States of America, Michael Badnarik gives a great presentation on what rights man and women are entitled to enjoy at the common law, how these were protected by the Constitution, and how, after 1933, this all changed. Now, default law is commercial, not civil, in nature, governed by international law of the sea. All property, even our bodies, are assumed to be under the control of a global banking government, governed by the Uniform Commercial Code. We are, by assumption considered to be slaves, "bound" by invisible contracts such as the use of paper banking currency of the private Federal Reserve debt servicing corporation, and the registration of our bodies with a Statement of Live Birth, receiving a Certificate of Live Birth and a Birth Certificate in return, possessory titles that do not entitle us to ownership of our body under the law which currently runs the planet. Researched Based opinion on the New World Order. Birth of Holy Roman Empire and its Destruction in the last day at the hands of the Kingdom of God. Revelations Woman/whore = religious system merges with the beast = political system. Just a short documentary everyone should watch. Hope it starts every one thinking. This is a summary of many films and media clips that show you that 9/11 was an inside job! This is one of the best out there a must see. Dr. Blaylock has written and illustrated three books. The first book was on the subject of excitotoxins (Excitotoxins: The Taste That Kills) and how they are related to diseases of the nervous system. His second book, Health and Nutrition Secrets That Can Save Your Life, covers the common basis of all diseases, nutritional protection against diseases of aging, protection against heavy metal toxicity, the fluoride debate, pesticide and herbicide toxicity, excitotoxin update, the vaccine controversy, protection against heart attacks and strokes and contains a new chapter on omega-3 fats. Deconstructing the Myth of AIDS In 1984 we were told that HIV was the cause of AIDS. 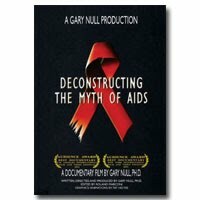 In his provocative documentary film, “Deconstructing the Myth of AIDS,” Gary Null, Ph.D., challenges virtually every statement ever made by the American medical industrial complex on the virus - including those of the Centers for Disease Control and Prevention (CDC), the National Institute for Health (NIH) and the Food and Drug Administration (FDA). While presenting the findings of Nobel Prize-winning scientists and leading virologists, the film exposes the political maneuvering, conspiracies and cover-ups that have provided obstacles to the study of this human catastrophe from the start. Designed as both the opening exhibit of the Wilhelm Reich Museum and an educational tool for wider audiences, this video provides a concise overview of Reich's life and work. Comprised of stills, movie footage and computer animation, it is not intended as a substitute for Reich's literature, but as an easy-to-understand introduction to Reich's discovery and investigations of orgone energy. The video also provides a succinct and dramatic account of the FDA's campaign to destroy Reich's work. Twenty-eight minutes and thirty seconds is barely enough time to even begin to grasp the life and work of Wilhelm Reich. And that's all this video purports to do: provide a beginning. It is not a definitive documentary. Neither is it, nor was it ever intended to be, a substitute for reading Reich's literature or spending several hours at Orgonon which I believe are essential to educating one's self about Reich. Ideally the video will serve as a preliminary first step in a larger process: the video introduces ideas; the Museum amplifies them; and Reich's literature elucidates them. Man's Right to Know was produced primarily to replace the existing slide show, which was essentially the first exhibit in the Museum tour. When Mary Higgins and I began to discuss the project, we asked ourselves, "Who is our audience?" This question proved to be a springboard for a much broader conversation about the purpose of the Museum, an analysis of its visitors, and how we might enrich the experience of those visitors. For visitors with little or no knowledge of Reich, the exhibits in the Museum can be difficult to comprehend. After all, orgonomy is a young and largely unknown science, and there's little in a typical visitor's experience to prepare them for the range and epic quality of Reich's life and work. And in a short period of time, even the best informed tour guide simply cannot convey the magnitude of Reich's work nor sufficiently explain the connectivity from psychology to biology to physics—what Reich called the crucial "red thread." Consequently, for many visitors, their image of Reich remains disjointed, and they're only able to focus and respond to isolated fragments of his legacy. Sometimes, if we're lucky, this response will translate into the purchase of books or other items at the bookstore. Sometimes it will translate into a life-long exploration into Reich's work. And sometimes visitors simply leave Orgonon to take in the other sights of Rangeley. It seemed logical, then, that if the Museum could provide every visitor—from the uninitiated to the more knowledgeable—with a coherent and compelling image of Reich from the start of their tour in the screening room, then perhaps their response would translate into more book sales, increased membership and greater support of the Museum, more involvement with its programs, and more people personally committed to further exploring Reich's work. As a result, our ambitions and expectations for the video began to expand, as we asked ourselves: "Could we present a concise overview of Reich's life and work that would be relatively easy to understand; that would quickly bring the viewer to a much higher level of understanding; that would touch the viewer emotionally; that would acclimate them in a practical way to the Museum exhibits; and that would introduce them to some of Reich's quotations and literature?" And so, for visitors with little or no knowledge of Reich, this video is designed to be a compressed, concise introduction. It is intended to quickly and succinctly provide a rudimentary understanding of Reich that will better orient visitors to the Museum's exhibits and the offerings at the bookstore. Hopefully, visitors will recognize the parallels between the chronological organization of the material in the video and in the Museum, so that their tour becomes richer and more meaningful. After watching the video and taking the tour, we hope that visitors will be intrigued by the breadth of Reich's life...outraged by its tragedy...and inspired to learn more. For those with more than a cursory knowledge of Reich, hopefully the video will confirm what the viewers already know, clarify certain areas of confusion, and perhaps fill in some gaps. For viewers well-versed in Reich's life and work, it's unlikely that this video will provide any new knowledge or insights. But at the very least I hope that its visual elements-many of them never before seen-will deepen the viewers' appreciation of Reich and his achievements. Man's Right to Know was also deliberately designed to serve a broader mission of the Museum, to be used beyond the confines of Orgonon as a means of reaching and educating an even wider audience. In addition to being on sale in the bookstore, it will be available as an educational tool for lectures, seminars, classrooms, fund-raisers, open houses, and other events, providing audiences with a background and a context in which to further explore Reich's life and work. From the inception of this project, the structure of the video was self-evident: follow "the red thread." The red thread itself provides a lean, muscular, logical storyline by which we can follow the chronology of Reich's life and the evolution of his work. I decided to establish at the very beginning the historic concept of "Life Energy," then follow Reich's investigation of the energy principle from the libido, with its psychological and social implications, to his biological experiments that led to the discovery of orgone energy, to his medical work, and on into the area of orgone bio-physics. To me, this is the only way to grasp the immensity of Reich's achievements; whether it's in a twenty-eight minute video, a two-hour documentary, or a Hollywood movie, this is the structure to follow. With the red thread as the structural backbone, I wanted to emphasize from the start, both narratively and visually, that Wilhelm Reich was a scientist. Toward that end, I relied heavily on movie footage and photographs of Reich and his co-workers in the laboratory, visuals of scientific equipment, select quotations about his energy work, and titles that conveyed the documentation of that work. It is unfortunate today that Reich's detractors fail or refuse to recognize the disciplined, rigorous, empirical nature of his experiments. It is equally regrettable that many of Reich's admirers mysticize his work or rush to lump it together with all kinds of pseudo-sciences. Consequently, I felt that suffusing this video with scientific imagery was thematically appropriate. Given the time constraints in terms of the length of the video and my desire to maintain a terse muscular storyline, I decided to omit any references to Reich's personal life except for the segment devoted to his early years. I felt that any discussion about his wives, children and friends in the body of the program would disrupt the flow, and was not essential to understanding his work. Furthermore, a curious viewer could always get that information from a museum tour guide. I also saw Man's Right to Know as an opportunity to clarify and correct some common misconceptions. Even among those favorably disposed to Reich, we constantly find inaccuracies, untruths, misstatements, and carelessness with facts. Obviously it would take a presentation several hours to begin to address all the rumors, slanders, and vilifications during Reich's life and afterwards. But I felt it was essential to set the record straight on several key issues: the orgone energy accumulator, for example; so pivotal to Reich's work, so central to the ultimate tragedy of his life, and the subject of much slander and honest misunderstanding. Without a basic scientific understanding of the accumulator, a person simply cannot grasp all that follows in Reich's life. Since the essence of orgone energy is movement and pulsation, I didn't feel that static drawings would convey the scientific principles which govern the orgone accumulator. And so I opted for some rather basic computer animation to illustrate these concepts. And wherever appropriate, I tried to reinforce our discussion of the accumulator's experimental and medical usage with titles from Reich's bulletins and journals. The notion that the orgone accumulator is a sexual device used to enhance one's orgastic potency is a common misconception that one hears even today, and often from people who genuinely admire Reich's work. Because this notion proved so destructive to Reich, I felt it was crucial to pinpoint its origin to a specific quotation in a specific article by Mildred Edie Brady. Similarly, the cloudbuster is an object of much fascination and misunderstanding, among those for Reich and against him. For example, many people think that the cloudbuster emanates orgone energy into the atmosphere during weather operations. So, again, I felt a brief and basic explanation was necessary for a fuller appreciation of Reich's work. Let me paraphrase what I said at the beginning: none of the content here, none of these brief illustrations of the accumulator and the cloudbuster can substitute for the fuller explanations found in Reich's literature. Again, I hope that viewers—whether they're Museum visitors; attendees at a lecture, in a classroom, or at some other event—will be sufficiently intrigued so that they'll want to read Reich's literature and learn more about his life and work. While there's certainly no way to evade the tragedy and sadness of Reich's death in prison, Mary and I didn't want to end the video on that note. We felt that after we mention Reich’s death might be a good opportunity to do what we hadn't done in the body of the program: focus on the human side of Reich. This is how the final montage evolved, with photographs of Reich with his wives, children, and friends, away from work and the laboratory. Early on, Mary and I knew that we wanted to hear Reich's voice somewhere during the program. We felt that for those who have never heard him speak, his voice would confer an added dimension to our portrayal of Reich. But where would his voice be appropriate? What would be the specific sound-bite? And how would it integrate into the overall content? After spending hours listening to tapes and poring over transcripts, we finally came across a few sentences which we felt provided a moving summation of Reich’s commitment to his work. And, as such, was the most fitting way to conclude Man’s Right to Know. The emotional plague is not an expression of conscious ill will or designed brutality. The structural character of the plague made its effects the more dangerous. Emotional plague is a character trait like cleanliness or deligence or truthfulness. It is biopathic behavior lived out on the social scene in interhuman relationships. frustration combined with a keen aggressiveness. Unless we proceed cautiously, there might well arise a few generations of mystics who conceive of the orgone metaphysically, divorced from non-living nature and who do not comprehend it from the standpoint of natural science. And it seems to me that we have more than enough mysticism as it is." Some Dangerous Thoughts Concerning "Freedom" and "Responsibility"
" The cry for freedom is a sign of suppression. It will never cease as long as man feels himself to be trapped.No matter how different the cries for freedom may be, at bottom they always express one and the same thing: the intolerableness of the organism's rigidity and the mechanical institutions of life, which are sharply at variance with the natural sensations of life. If there should ever be a society in which all the cries for freedom fade away, then man will have finally overcome his biological and social deformity and have achieved genuine freedom. Not until man acknowledges that he is fundamentally an animal, will he be able to create a genuine culture. Man's 'upward strivings' are nothing but the biologic development of vital powers. Such strivings are conceivable only within the framework of the laws of biologic development and not in opposition to them.The will to freedom and the capacity for freedom are nothing the will and the capacity to recognize and promote the unfolding of man's biologic energy (with the aid of the machine). It is out of the question to talk about freedom if man's biologic development is choked and feared. Under the influence of politicians, masses of people tend to ascribe the responsibility for wars to those who wield power at any given time. In World War I it was the munitions industrialists; in World War II it was the psychopathic generals who were said to be guilty.This is passing the buck. The responsibility for war falls solely upon the shoulders of these same masses of people, for they have all the necessary means to avert war in their own hands. In part by their apathy, in part by their passivity, and in part actively, these masses of people make possible the catastrophes under which they themselves suffer more than anybody else. To stress this guilt on the part of masses of people, to hold them solely responsible, means to take them seriously. On the other hand, to commiserate masses of people as victims, means to treat them as small, helpless children. The former is the attitude held by genuine freedom-fighters; the latter the attitude held by the power-thirsty politicians." --Wilhelm Reich, The Mass Psychology of Fascism. "man would be ready for his concepts." At the time when this book was originally written, fascism was generally regarded a "political party" which, like any other "social group," was an organized representation of a "political idea." According to this concept, the fascist party "introduced" fascism by force or by "political manoeuvre." Contrary to this concept, my medical experience with individuals from all kinds of social strata, races, nationalities and religions showed me that "fascism" is only the politically organized expression of the average human character structure, a character structure which has nothing to do with this or that race, nation or party but which is general and international. In this characterological sense, "fascism" is the basic emotional attitude of man in authoritarian society, with its machine civilization and its mechanistic-mystical view of life. It is the mechanistic-mystical character of man in our times which creates fascist parties, and not vice versa. Even today, as a result of fallacious political thinking, fascism is still being considered a specific national characteristic of the Germans or the Japanese. The stubborn persistence of this fallacy is due to the fear of recognizing the truth: fascism is an international phenomenon which permeates all organizations of human society in all nations. This conclusion is confirmed by the international events of the past 15 years. Click on the thumb to preview the document. Orgone energy was originally discovered by Wilhelm Reich in his psychiatric work. As a psychoanalyst and student of Freud, Reich's point of departure was, quite naturally, Freud's concept of libido. Libido is life energy, desire, the source of human striving. Reich developed the libido concept, concentrating on its physical expression and simultaneous psychological content, until he was able to show the relation of bodily attitude and emotion. This he described in CHARACTER ANALYSIS, a book which went further than any work in history in solving the mystery of the relation of mind and body. In the beginning, pre-civilization it seems and definitely before humans had developed higher thought processes, there was Sigmund Freud. The guy has produced copious volumes of mostly BS that many college students in pastdecades have been forced to endure. As to Freud's credibility as a guide for others to live by, I have yet to see any photos of the guy where he wasn't looking incredibly depressed and sad. I can't imagine a worse person to listen to for the meaning of life, love, or to find the joy of living. Next there was Wilhelm Reich, a student of Freud. Reich viewed Freud as being neurotic and the two men hardly got along. Reich discovered the connection between blocked sexuality and feelings, and the "muscular armoring" of modern "civilized" humans. Reich noted the tight jaws, shoulders, pelvises, the restricted breathing patterns, and the tension around the eyes of the patients he saw. Reich devised some techniques to help relieve the tensions, bring emotion, sexual feelings,and life back into the people who came to him. Reich also coined the phrase "genital character" to denote someone who was completely unblocked and sexually open. It turned out to be largely a "pie in the sky" ideal to be striven for, as it was an extremely elusive goal for his patients to reach. This is one of the most outstanding stories, is it 100% true and factual? Phil Schneider was a real man and did a real job and died a real death. Indulge yourself and follow the links and follow his life story. I know it may be the strangest thing you have ever read but it is backed up by documents and lectures by the man. P.S. 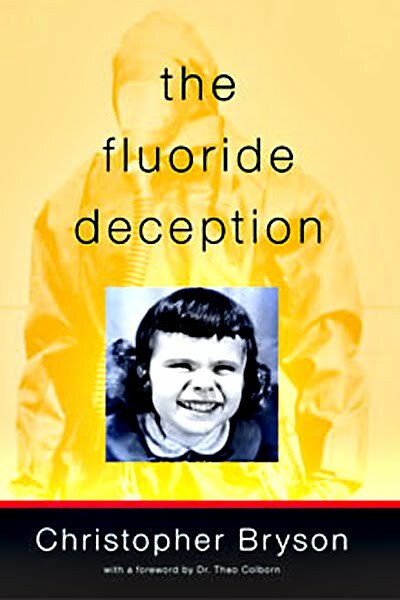 Short after thought this story would also connect to the Denver airport terminal that is reported to be one of a few main underground hubs built without the peoples knowledge and only for the bureaucratically approved elite to use. This is also connected to the Illuminati, NWO and The Masonic agendas. Phil Schneider-covers a wide variety of topics including: Underground Military Bases, Alien Technology, Dulce, and missing elements from the Periodic Table. Philip Schneider's life was certainly as controversial as his death. He was born on April 23, 1947 at Bethesda Navy Hospital. Philip's parents were Oscar and Sally Schneider. Oscar Schneider was a Captain in the United States Navy, worked in nuclear medicine and helped design the first nuclear submarines. Captain Schneider was also part of OPERATION CROSSROADS, which was responsible for the testing of nuclear weapons in the Pacific AT Bikini Island. In a lecture videotaped in May 1996, Philip Schneider claimed that his father, Captain Oscar Schneider, was also involved with the infamous "Philadelphia Experiment." In addition, Philip claimed to be an ex-government structural engineer who was involved in building underground military bases (DUMB) around the country, and to be one of only three people to survive the 1979 incident between the alien Grays and U.S. military forces at the Dulce underground base. Philip Schneider's ex-wife, Cynthia Drayer believes that Philip was murdered because he publicly revealed the truth about the U.S. government's involvement with UFOs. A US Citizen's journey of discovery into the lies, oppression, and corruption that has invaded her country since 9/11. Through original footage, archived footage, and interviews with people such as Howard Zinn, Michael Parenti, and Michael Ruppert, Liberty Bound explores the state of the union and its ostensible move toward fascism. We talk with people who have been interrogated by the Secret Service and threatened with arrest for doing such benign things as sending an email, turning around during a Bush speech, and having a philosophical discussion on a train. These Movies will change the way u look at your life and what part u really play in society. Currently I am adding links to posts to these life changing documentaries on my blog, so u can learn and expand the way you look at the world as you know it today. I will try to find and blog each and every one on this list and any new ones that I see, also i will try to link torrents for you to download. Watch and learn dont be a sheeple, comments would be great, thanks. Learn how to fly! wingsuit base jumping !